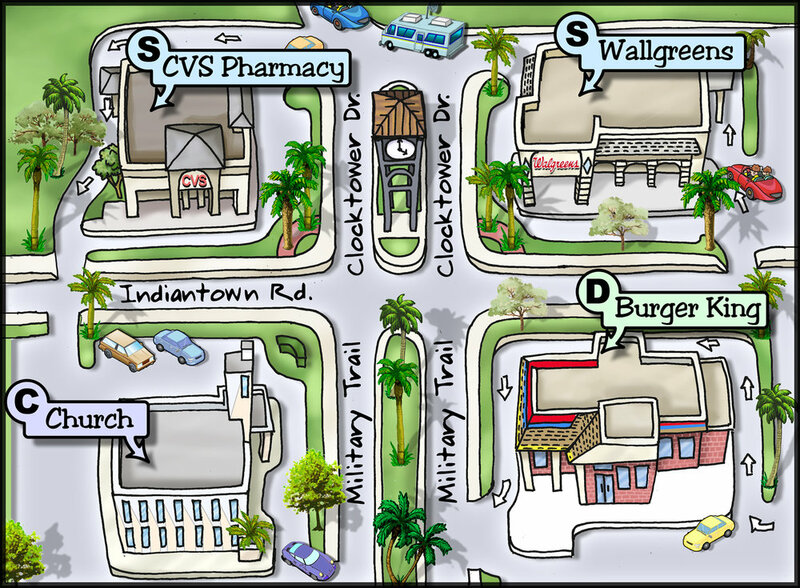 MapCo Marketing can create ANY style of map desired. Whether it be a simplistic or highly detailed masterpiece, we will work with you to design the perfect map. These maps have proven to be a remarkable marketing tool. 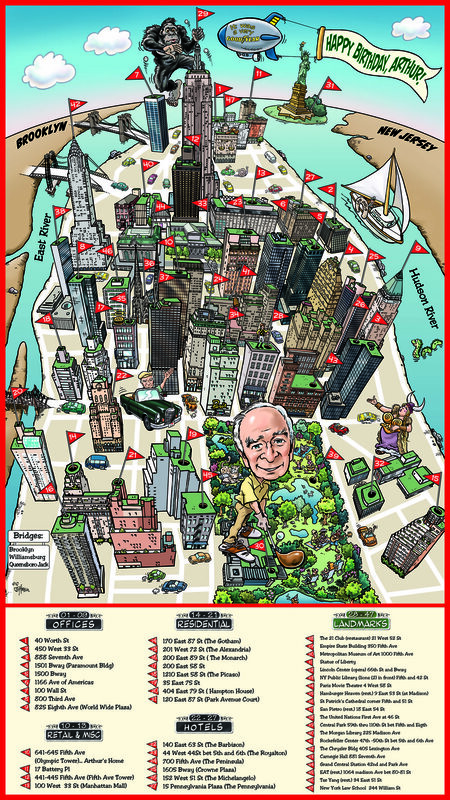 The artistic quality of our caricature maps or cartoon maps are above and beyond talent! The impeccable attention to detail leaves viewers staring at it for hours on end and what sets us apart from other cartoon map companies. Choose between printed handouts or digital versions for internet or emailing. You simply provide the size, a list of elements or buildings that you would like to include, addresses (if they are located on city streets) and we’ll do the rest.